What Are You Looking for in a FreshServices Alternative? Help desk software platforms have become so popular, they’re almost a dime a dozen. There is no clear market leader; instead, a variety of options hope to outpace their competition based on bold promises and flowery language. Unfortunately, this is not the industry where that should matter. Promises only matter insofar as they actually become true for platform users. Flowery language has no place in an environment where function matters more than style. When a customer submits a ticket or complaint, your software needs to be able to log that ticket, reroute it, and make it as easy as possible for an agent to answer. Software that can’t accomplish this feat should not be an option when you’re looking at help desk platforms. All of which brings us to FreshServices, one of the many help desk alternatives available for businesses today. It promises effective, multi-platform solutions, aimed at organizing and answering queries from internal and external audiences. It also gets generally high reviews from review sites, making it a natural option to consider. But, like so many of its competitors, the platform is not perfect. In fact, billing features and high prices can lead some businesses to shy away from it. In that case, you need a FreshServices alternative that gives you exactly what you’re looking for. Which begs the question: what exactly do you need? The answer, of course, depends on your business. Still, it makes sense to look for a platform that offers a few features you will need regardless of size and type of operations. So anytime you’re looking for FreshServices or one of its competitors, consider paying special attention to these 6 factors. 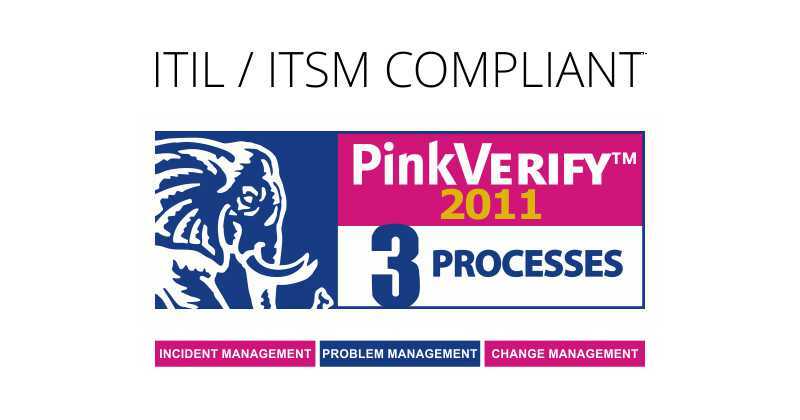 Vision Helpdesk’s Service Desk Software is PinkVERIFY certified for 3 major processes – 1) Incident Management 2) Problem Management and 3) Change Management. Today’s help desk has to be more than just a single channel platform. You cannot rely on your customer submitting tickets on your website over anything else. While that remains an important tool, other channels have begun to matter just as much. A relevant stakeholder might have a question or problem voiced on social media. A direct email to one of your IT professionals may prompt an investigation. A phone call can do the same thing. The right help desk platform can collect all of these queries, and plug them into a centralized system that distributes them to the right professional. Experienced IT professionals know that some problems occur more than others. So what about a self-help platform to answer some of your most common questions and problems? It can host a knowledge base, tutorials, and more. Add the above-mentioned integration, and you get a FreshServices alternative that is designed for your audience today. No company is identical. Your business operations may be very different from those of even your closest competition. As a result, the workflow through which your queries run may be unique, not mirroring other companies in your space. Can your help desk software accommodate those custom needs? Customizability means anything from a custom dashboard to custom reporting (more on that below) and custom workflows. If you’re looking for a FreshServices alternative, you have to keep all of these variables in mind. The more you can customize your platform, the more effective it will be moving forward. Billing here takes the place of two variables: what is the price of the platform for your company, and can the platform itself accommodate billing needs for your audience? Both deserve special consideration. The right help desk provides all the functionality you need, without blowing your budget. It might even be free for smaller teams and organizations. Meanwhile, it can also accommodate billing features for individual tickets if you charge your customers for support. Both of these are weaknesses for FreshServices, so an alternative should be able to provide them. Answering support ticket successfully and effectively is not possible without regularly evaluating your success rates. You need to understand how quickly tickets are usually closed, who on your team is performing especially well, what your success rate is, and much more. In other words, your help desk software needs to include in-depth reporting capabilities. What exactly those capabilities look like depends on your needs. But ultimately, the goal should be simple: you should be able to easily and intuitive track how closely you can become to reaching your goal. If customer satisfaction is your central objective (as it should be), and organizational effectiveness comes a close second, reporting is an invaluable tool to measuring both. Ideally, that reporting should have at least some visual, comparative, and trend analysis tool. You should be able to not just run reports for their own sake, but to present them to both your team and any relevant stakeholders. The better the reporting capabilities, the more successful your IT support efforts will become over time. Speaking of support: just as your customers expect you to provide the help and guidance they need, you should expect the same thing from any software provider in this space. After all, this is their core competency. If you cannot get actual, helpful, and timely support by the vendor using their own software, then you might want to look elsewhere for alternatives. What does that support look like? Again, that depends on your needs. Ideally, it means availability regardless of time zones, because you never know what could go wrong. It might also means support in multiple languages, depending on your company’s location. But regardless of specific, one thing remains clear: the support needs to be actually helpful, allowing you to navigate any potential software or platform issues quickly and effectively. How do you wade through the countless IT help desk options available for all types of companies? It’s not an easy task. But if you look at the above five variables, you can accomplish just that. In the process, you might even be able to find a viable FreshServices alternative that helps you conduct business better, more effectively, and for a lower budget. The key to success is a strategic approach in the selection process, ensuring that the platform you decide on actually serves your business needs.